Ever realized that the way you see yourself isn’t necessarily the way some of your friends see you? Ever realized that maybe they had a point? I like to think of myself as pretty adventurous and outdoorsy. And not just in the “I like to drink cocktails on the patio” way (although I do like that). 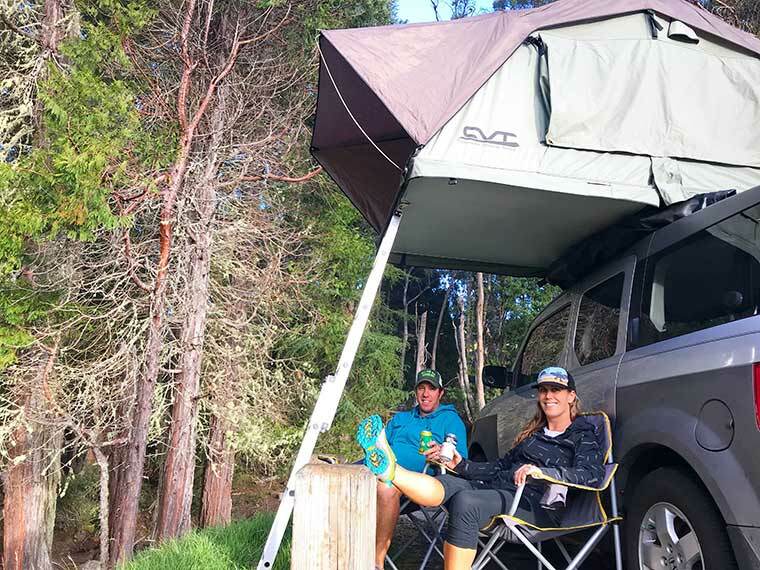 I trail run, I hike, I SUP, I … well, I attempt to surf. Most of my childhood family vacations were spent in remote cabins in the woods, and I’m more than happy to eschew my morning shower in favor of a dip in the ocean. As I attempted to form a witty retort, it dawned on me. He was right. There’s a big difference between staying in a rustic cabin and kicking it in a tent for a few days. After all, a lack of heat, AC and television is a far cry from living without running water, electricity, or, you know, rooms. I realized it was going to be new. It was going to be different. But it was also going to be awesome. Long story short — it was everything I expected and then some. It was full of adventure, yet relaxing. We saw sunrises and sunsets, waterfalls and whales, and probably more shooting stars in two nights than in the rest of my life combined. 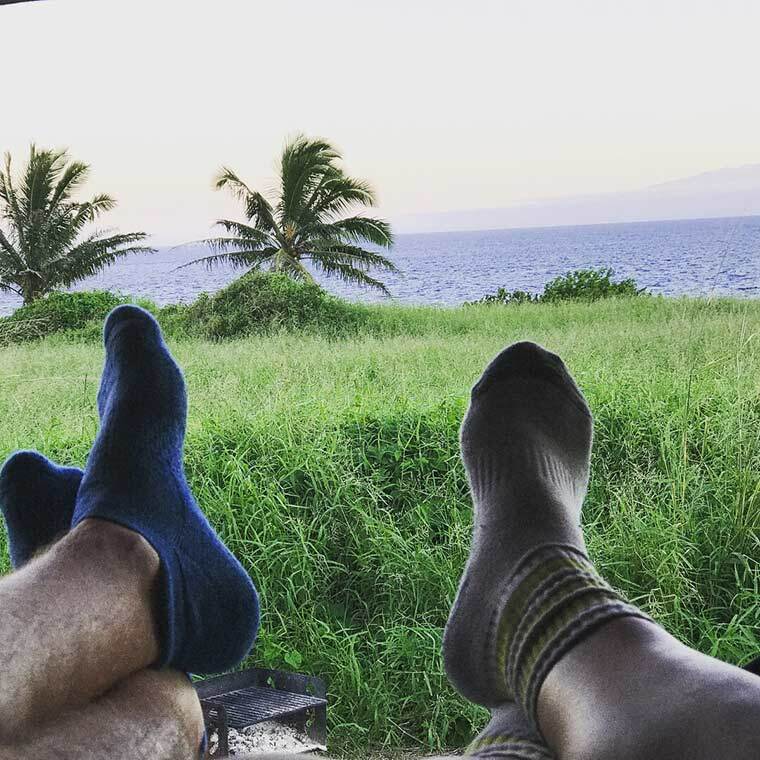 We stopped at numerous beaches as we made our way from one campground to the next, swimming in crystal clear water over black sand and red sand and, well, just sand-colored sand. And our view from the tent! So worth it. 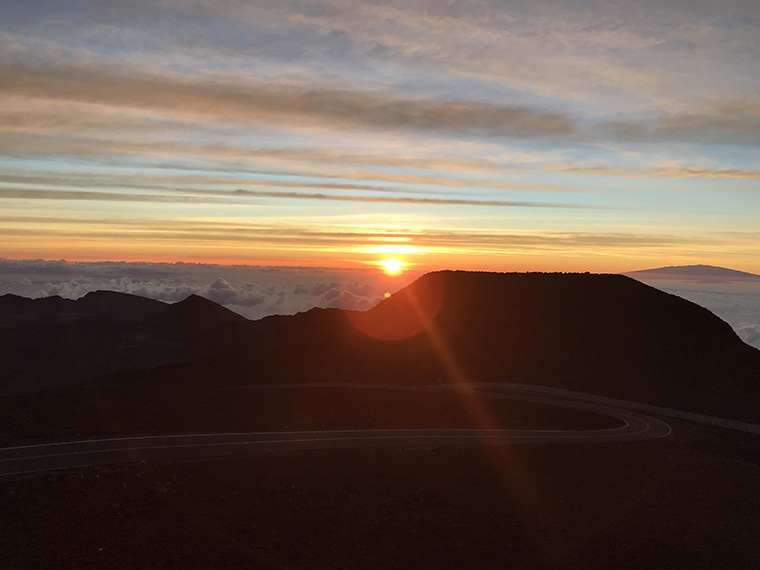 One night was slightly cloudy and warm, the next brought a downpour that lasted from dinner until early morning, and the final night, near the summit of Mount Haleakala, was crisp, clear — and cold enough that I slept with a beanie on my head. 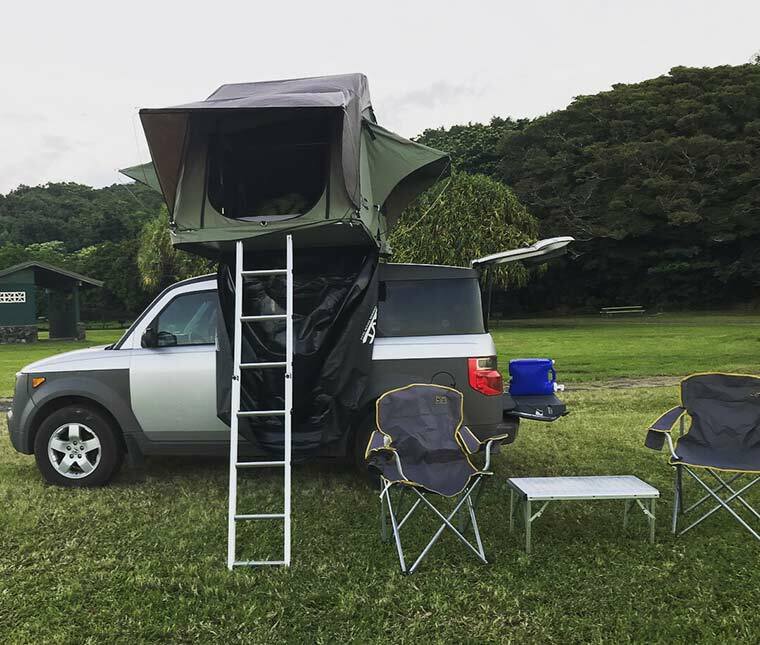 Camping at Hosmer’s Grove, near the summit of Haleakala, meant we could easily wake up early enough to go watch the sunrise from above the clouds. SO COLD. But so amazing. It was unlike anything I’d experienced before, and, as a devout navel gazer, it brought along a few personal revelations that I’m pretty sure aren’t unique to me. 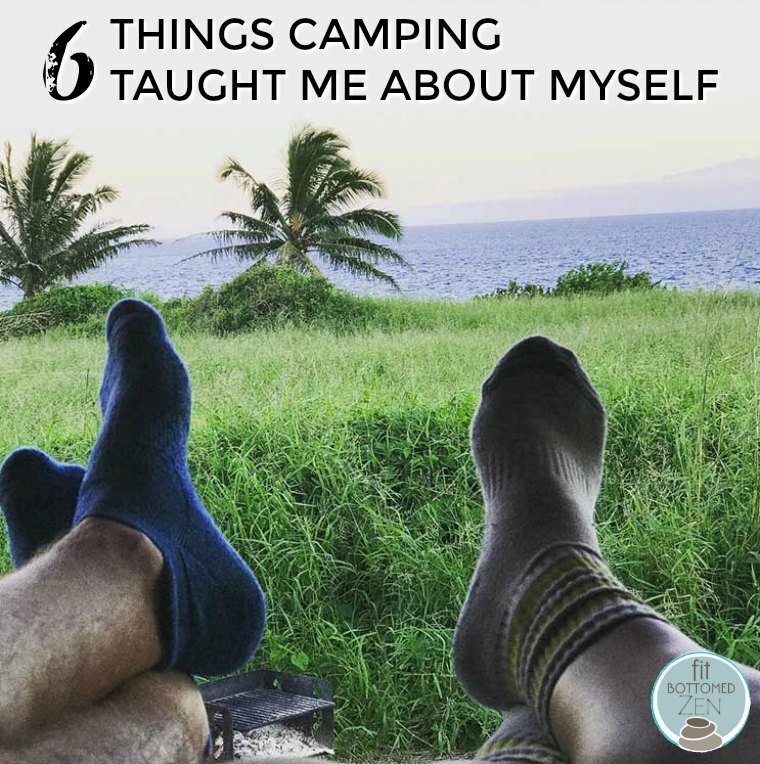 If you’re an experienced camper, you’re likely to get a bit of a laugh — and if you’re a newb like me, maybe you’ll know you’re not alone … and even have some of your own to share! 1. My sense of smell is keener than I thought. This isn’t necessarily the best thing to learn while camping, but if you know this about yourself, please know that proximity to any campground toilets should be carefully considered, as should the direction of the wind. Our first night, we thought the wind would come in off the water, which would make us upwind of the restrooms (and therefore, safe). That was not the case — and that was regrettable. VERY regrettable. 2. Turns out I’m still terrified of pit toilet snakes. Some of my fears are pretty logical — heights, bridges, unexpected social interaction — but this, my friends, is not. I’m aware that the only snake found on Maui is a tiny, non-venomous garden snake. Doesn’t matter — especially when I’m going in with a flashlight after dark. I would prefer peeing in the woods a million times over to the pit toilet situation. Lesson learned. 3. I check myself out way too much. Turns out that not having mirrors readily available is seriously freeing. I just … didn’t look at myself. For days. I suspect I’m not alone in having been oblivious as to how often I normally check my appearance during the day, and it was really nice to just be unaware of what my hair was doing or whether I had a new zit, you know? Didn’t know, didn’t care, just did my thing. Glorious. I should do that more often. 4. I can totally fall asleep shortly after sunset — even on one of the shorter days of the year. Let’s be real: the best thing about camping just might be the fact that, as soon as it gets dark, people go to bed. Like, I was a night owl because I stayed out in the open until 8. I love going to bed early, so this was amazing. No idea if this is usually the case, but on Maui, we went three for three so I don’t think it’s out of the ordinary. 5. In any given campground, I’m almost certainly the least badass person there. To be fair, we didn’t talk to a ton of people, but the conversations we had with other campers were fascinating. On our final night, we met two separate groups from Australia: one had been traveling (India, Canada, the Pacific Northwest) since February and were four days away from flying home, and the other had only arrived a few days prior but had plans to head to Canada for a few months following their Hawaiian adventure. Now, I felt pretty badass for committing to three nights of camping in an SUV that provided me with everything I needed — these folks were legit superstars! The air was cool and the smell of the nearby eucalyptus trees wafted on the breeze. If only I could’ve bottled this moment and taken it home with me. 6. I am entirely okay with that. I might’ve loved hearing about their adventures, but, honestly, that type of travel is not for me. I get such joy out of the planning process, and I can’t fathom giving that part up in order to fly by the seat of my pants for weeks on end. But I loved hearing about how others had embraced that life and wish I’d had more time to chat with them about it. I have so many questions. What do you do about mail? How much did you have to save? How do you even go about doing a work exchange? However, nightfall came early, and you know what that means. Bed time!